Why are so many people blind in Togo?  There are many factors that contribute to blindness in Togo. The majority of the factors are linked to extreme poverty. Most people work outside in the hot sun every day without sunglasses, which causes greater likelihood of eye problems. Many are also drinking very dirty water which can cause eye diseases. With poverty, comes malnutrition. With malnutrition, comes lack of proper nutrition to the eyes, which then can cause blindness. People in Togo are often also blinded by various injuries to the eye. We have seen children blinded by falling on sticks, teenagers blinded by electrocution, men blinded by smoke inhalation, and women blinded by head injury. Yes! We have treated many children with cataracts. They can get cataracts from genetic disorders, malnutrition and dehydration in the womb, or lack of sanitation. Often we are able to do surgery and give sight back to the child. However, there have been times where the child has had cataracts for too long and the connection between the eye and the brain is no longer present. When this happens, we cannot restore sight. What eye problems do you address? Our team helps restore sight through cataract and pterygium surgeries, glaucoma treatments, and eyeglasses. We also teach eye-health educations to prevent blindness. Our top eye procedure is cataract surgery. Why do you do ministry along with eye surgeries? Our greatest passion is to share the love of Christ, which drives our desire to serve. During eye surgeries, we pray over each patient. After surgeries, we build relationships with the patients and their families. Many become believers. Two house churches have been established through because of our eye surgeries. Our ministry team walks alongside these house churches, teaching them how to worship, pray, and read the Bible. Do you do ministry during surgeries? Yes! While our medical team is preparing patient for surgery, our ministry team is praying for the patients and telling them about the love of Jesus. Many people also come from surrounding villages to see what we are doing, giving our ministry team many chances to talk to them about God. What do you do with donated audio Bibles? We often have patients ask us for Bibles. However, many cannot read, even after their surgery. We can provide them with audio Bibles so they can listen to the Word instead. We have a really neat story about a man who listened to the audio Bible for hours and days straight. You can read it here. What does malnourishment have to do with blindness? Read more about our agriculture program. Where is your agricultural training facility? Our team lives on a farm in Atakpame, Togo. We use our farm as our training facility. People from neighboring villages come to our farm and learn modern farming techniques to take back to their villages. When they learn modern techniques, they get better nutrition, thus preventing common eye problems. Where did the ambulance come from? ETMC, a local hospital in Tyler, TX, donated one of their ambulances to our ministry. We shipped it to Togo to become Togo’s only mobile eye clinic. Read the original story. See footage from inside the ambulance. What does the ambulance look like inside? Check out this video shot during surgery inside our ambulance. Where do you take the ambulance? We are able to drive the ambulance to rural villages where there is no access to eye medical care. We mainly travel to the villages of Amlame, Elavagnon, Badou, and Tohoun. Do you perform surgeries while the ambulance is moving? No, our ambulance is a mobile eye clinic, but it is stationary while the surgeries are being performed. Why are your headquarters in Tyler, TX? Our founder, Lewis Swann, is from Tyler, TX, so he has the headquarters there. Who works at the headquarters in Tyler? Our founder and president, Lewis Swann and our Development Director, Beth Reed hold down the fort in Tyler. What made you pick Togo, Africa? When Lewis was driving through West Africa several years ago, he met a church planter named Peter in Togo. Lewis asked Peter what the greatest need in Togo was and Peter told Lewis that there was a huge problem with blindness in that country. From that, God told Lewis to start a ministry to address the problem of blindness in Togo. Read more here. Who works at the headquarters in Togo? We have 10 team members living in Togo and they are all from different countries in West Africa. Our Togo team consists of our National Director, Field Director, Ministry Coordinator, medical team, and and ministry team. Where is Togo located in Africa? Togo is located in West Africa, between Benin and Ghana.